How unique is Uniquely Australia? Ask any international visitor to Australia about what makes this country unique and the response is more than likely to centre around the impressions of a multicultural population, the friendly character of the people and the relaxed somewhat carefree lifestyle they enjoy. Occasionally thoughts will flow to beaches, outback, strange animals, Uluru (Ayres Rock) and Great Barrier Reef. At Nature Bound our focus is on natural history and the creation, knowing the character of locals we meet, the lifestyles and multicultural veins running throughout the country will become evident. Our Uniquely Australia Tour was designed initially for international visitors to enjoy a broad selection of natural history experiences given their one possible trip down-under. Over time existing Australians of multicultural background have ventured to know more about their adopted homeland. Our visit to Carnarvon Gorge in the Central Highlands of Queensland provides a comfortable immersion in the outback for guests seeking a genuine immersion in inland beauty and a grand landscape without the rigours of desert conditions. At “The Carnarvons” it is possible to leave your comfortable wilderness lodge for a day walk in pristine bush environments, discovering trails and canyons each having a unique story attached. 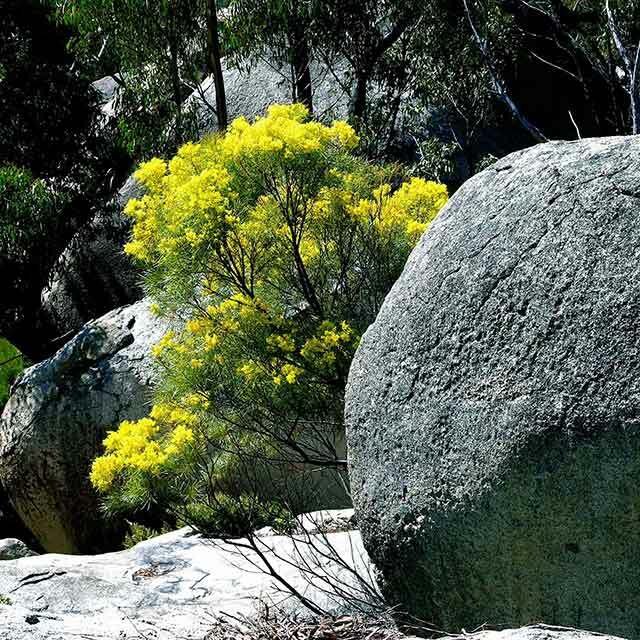 The ever-present oasis along the gorge is home to prolific birdlife, Grey Kangaroo families, open bushland with ancient Zamia and Cabbage Palm species. Every turn of the creek offers a vista of towering white sandstone walls and bluffs and a series of delightful rock hopping creek crossings, landing pads of colourful dragonflies and sun-baking water dragons. 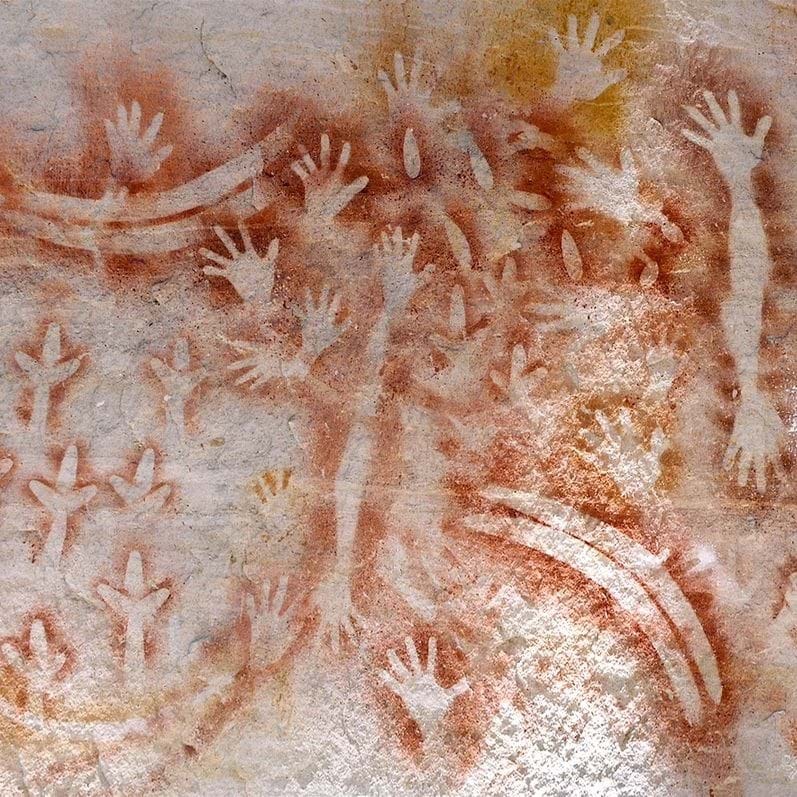 Hidden away are Aboriginal Rock Art Galleries offering storytelling of our First Australians dating back 3000 or more years. How unique? 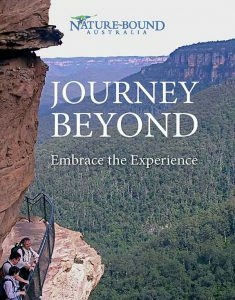 Well, you won’t possibly see it all but you will have walked in part of the most dissected sandstone gorge systems in Australia, having literally hundreds of kilometers of escarpments in a rugged portion of the Great Dividing Range. Your visits to Lady Musgrave Island and Fraser Island offer world heritage scenery and experiences of emotional proportions. “Lady Musgrave” sits on the southern end of the Great Barrier Reef free of the coral bleaching tragedy impacting the far north of this marine wonder. Imagine an azure lagoon formed by 3000 acres of coral reef, home to colourful marine life and opportunities to snorkel with sea turtles. Here your dreams might well be realised. That is if you are not setting foot on a pristine 44-acre coral cay, home to a forest of Pisonia Trees and the nesting colony of Noddy Terns and Silver Gulls. Fraser Island has been formed by the drift of refined sands from river gravel discharges in the far south. Ocean currents and wind have deposited long stretches of beach bordered by multi-coloured sand cliffs, behind which massive sand blows creep across the island. Declared the worlds largest sand island you will relax and swim in a crystal clear freshwater lake, then roam through towering forests growing in a bed of sand. From beaches, islands and outback, you’ll be transported into an ancient wilderness in the high country where moist clouds and mist shroud the lava formed escarpment of the Great Divide ensuring the survival of remnant forest species from a time when Australia was connected to Antarctica before shearing off 45 million years ago. Here is a world of Ancient Antarctic Beech Trees, snow gum forests, sub-tropical rainforest and eroding tablelands all packed into one, home to extraordinary bird and animals species. As you pause to connect with the forest sounds just one unique bird may be deceiving you, delivering a chorus of calls from other birds sharing its deep forest hideaway. Yes, our Uniquely Australia Tour boasts more. 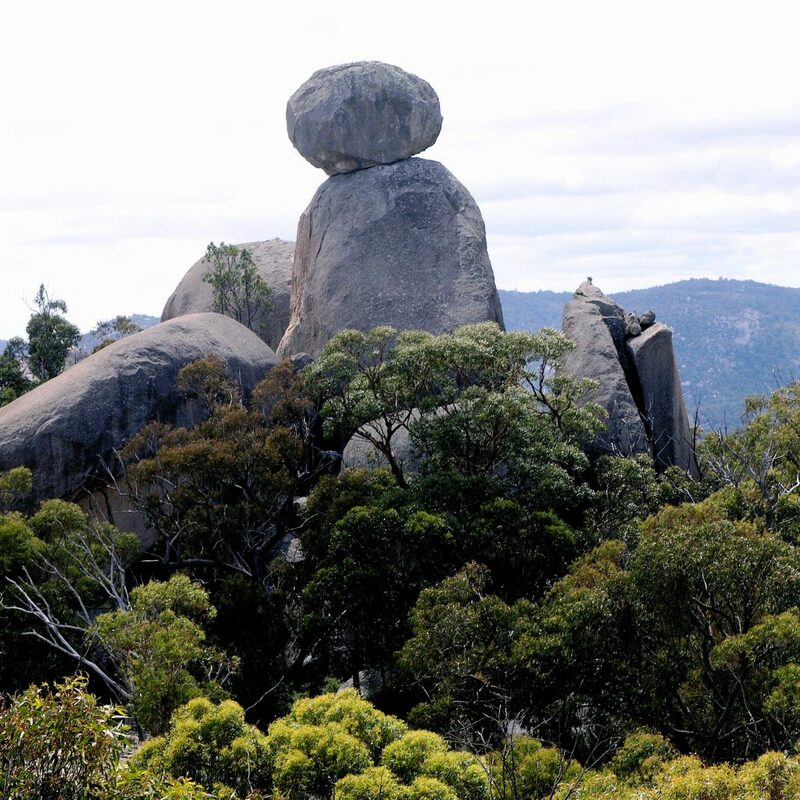 Like day walks across the great granite belt where huge monoliths and balancing boulders revealed by millions of years of exposure and erosion share centre stage with the tiniest of ground orchards and colourful Rosellas feasting on bushes of native wildflowers. This too is a land of unique Australian folklore and pioneering history closely connected to the country. There is something special about closing a holiday in an iconic place and for you it might be Cape Byron at dawn, Australia’s most easterly landfall, watching the sun rise out of the Pacific Ocean. “Byron” carries deep spiritual stimulus for those who seek alternative meaning and outlooks on life. Certainly, the wave skimming dolphins, rays and in season migrating whales see Cape Byron as an iconic destination.